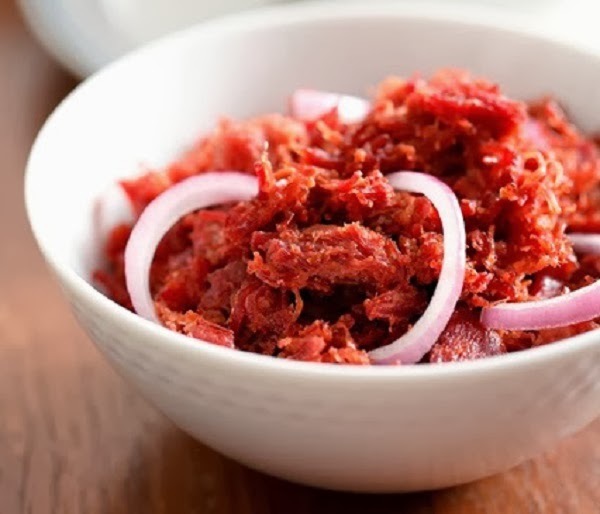 Corned beef is quite popular in the Philippines as ulam (viand). It is also a good partner with sinangag with fried egg (Cornedbeefsilog) and pan-de-sal. A good way to start your morning. 1. In a pan, heat oil and stir fry onion until translucent. Add garlic and fry until light brown. 2. Add corned beef and stir cook for 3 minutes. Add a little water if desired. 3. Season with salt and pepper.Adjust seasoning according to taste. 4. Remove from heat then serve with steamed or fried rice.